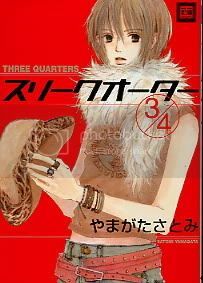 Three Quarters by YAMAGATA Satomi - Anta baka? Description from Baka-Updates: This is a one shot collection by Fake Fur's author. Even thought the book was out before Fake fur, this book is a sequel to Fake Fur. Could you upload again Sleep lovers?